In Pieces is the perfect accompaniment to Gudrun Gut's magnificent solo album, I Put A Record On. Jörg Burger, the man behind The Modernist and Triola projects, has again teamed up with Kompakt boss Wolfgang Voigt aka Wasserman especially for this mix. "Move Me," which originally came out to great acclaim as a 7" on Earsugar Jukebox, gets remixed by Burger/Voigt, and it's turned into a dance-pop symphony. Pole lends his hand to "Cry Easy" and lends it a Mr. Oizo-esque bass groove. Lastly, Dntel provides an astonishing remix of "The Wheel." 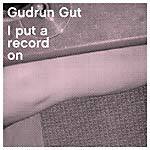 It can hardly be believed that I Put a Record On is Gudrun Gut's debut album as a solo artist, considering her key contributions in the Berlin musical underground. Not only is she label-head of Monika Enterprise, she is a founding member of the Berlin bands Mania D., Malaria! and Matador and long before the Wall fell she was a member of Einstürzende Neubauten. With so many references to her credit, it's no wonder that an atmosphere of delicate diversity is built on this record. 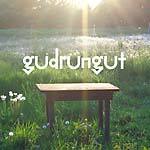 The listener is unconsciously pulled along into the moods and associations evoked by Gudrun Gut and the way she plays with different sources. 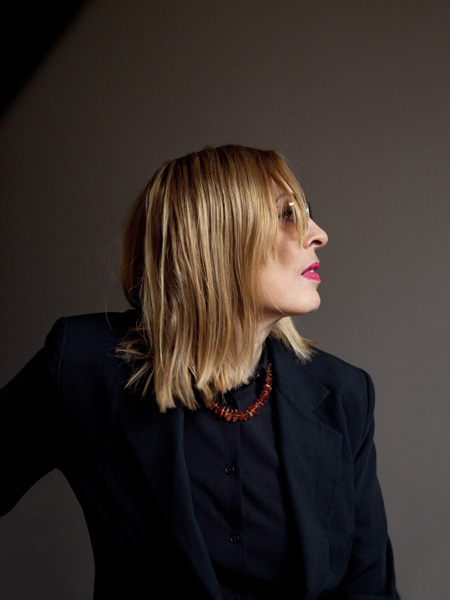 Gudrun's preferred style is a kind of minimal techno with a warm sound and a dark timbre. Titles such as "Rock Bottom Riser" and "Last Night" are swinging mid-tempo numbers. "Move Me" is a club-compatible cross between polka and tango, while "The Wheel" is some kind of hip-hop fairy tale. The tracks are loop-oriented and disarmingly concise, really showcasing the artist's cunningness. 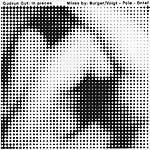 I Put a Record On pulsates in imaginary black light -- this quiet stillness gives the album a lascivious quality which is reinforced by the way Gudrun Gut's voice murmurs in one's ear (if you've ever heard Oceanclub Radio you will know about this). Gudrun also makes fair use of her talented friends on this release -- "Rock Bottom Riser" arose from a spontaneous sing along in the Monika office, featuring the voices of Uta Heller and Matt Elliot. Malaria! and Matador companion Manon P. Duursma guests as co-writer of the dub-blues tracks "Pleasuretrain" and "The Wheel," and the original version of "Girl Boogie" already appeared as a contribution to the Girl Monster compilation on Chicks On Speed Records. As a visual bonus, the CD also contains an edited version of the video "Celle," taken from an installation which Gudrun did together with celebrated artist Pipilotti Rist for the Sonambiente Festival in Berlin, 2006. 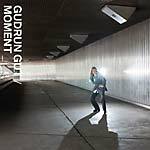 Experienced musician Gudrun Gut allows her new album to radiate with beautiful melancholy like a strong perfume -- an invitation to let oneself fall backwards into her warm pulse. 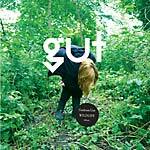 Double CD for the price of one (reissue of a 1996 album, plus 2nd CD of remixes by Thomas Fehlmann, The Orb, Ellen Allien, and more) from Berlin's Gudrun Gut. Gudrun currently runs the Monika label, was a early member of Einsturzende Neubauten and most famously founded the 1980s band Malaria! She has collaborated with Blixa Bargeld, Anita Lane, Thomas Fehlmann, etc. "The summer of 1994, a flat share in Berlin's Potsdamerstraße and it's blazing hot. Back then I was busy tinkering with some simple bass loops on my computer and my loop machine. The speakers helped to spread the loops across the entire flat, a perfect match for the relaxed summer feel. Laurie said: 'it's like being under water, in the ocean.' An ocean club -- all of a sudden, my future had a new home. After years and years of playing in bands I wanted to pursue my own visions -- but continue to work with friends. I wanted to create a loose collective, an open club for members: Members of the Oceanclub. I locked myself in the studio with longtime Australian friend Anita Lane and the loops became tracks. Johnny Klimek loved the result and offered to help out on production. In Inga Humpe I rediscovered an old friend from the 80s at the E-Werk and we decided to re-explore the strange power of the butterfly. My work was beginning to take shape. Further new members included Danielle de Picciotto and my Malaria and Matador sidekick Manon P. Duursma, I also invited Katharina Franck, Jovanka von Willsdorf (Quarks) and Jayney Klimek and, naturally, included a track by my Miasma partner Myra Davis. In the end, we also needed the obligatory male joker: my Schöneberg neighbour and old partner in crime Blixa Bargeld joined me in an homage to the sun, adding additional sparkle to the ladies' circle. In 1996 the resulting album Members of the Ocean Club was finally released by Alternation. By now the Oceanclub network spans the entire globe, and I am very proud to reintroduce you to its beginnings with this double CD. The remixes featured on CD 2 were only ever released on vinyl and, like the original recordings, have long been discontinued." -- G.Gut, Berlin July 2004. Remixers include, Klaus Schulze, Paul van Dyk, Thomas Fehlmann, Johnny Klimek, Ian Pooley, Orb, Spinout Butterfliege, Ellen Allien, Corbra.